This volunteer run support community offers practical help for those who struggle with skin-picking. Purchasing products from this store will send proceeds cascading our way to provide YOU with free support on this and other sites. Nobody is paid to help you, we do it because we BELIEVE in you. Skin picking sometimes occurs with minimal or no awareness and can occur during in a trance like state or even during sleep. This doesn't mean that it cannot be stopped and often hypnosis by a specialist in BFRBs is the answer. You CAN be pick free. NOBODY profits from this website but YOU - proceeds from anything you purchase here go right back to support people with BFRBs. Body Focused Repetitive Behaviours are often abbreviated to BFRBs. The BFRB we support here today is Dermatillomania, which is a condition marked by picking one's own skin. BFRB's can affect people of any age, although they most typically start in late childhood to early teens. The better known behaviour of nail biting is also a BFRB. Cheek chewing and lip-picking are also BFRBs, for which the treatment is the same. The compulsive element is what makes it distressingly difficult to avoid picking, and extensive behavioural therapy is needed for some, to help control the compulsion. Simple, relaxing yet flexible recovery strategies. 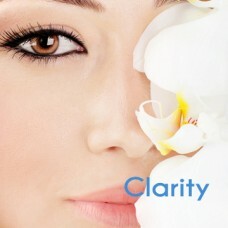 Hypnotherapy can be very helpful and the Clarity CD in particular has helped many overcome their picking. We will work with you until you find success. Project Lead at charizma. I swim, cycle, and run a lot. When I’m not doing all those, I love to read and try new things. JULY 25, 2017 AT 12:30 PM :-)That is a very good point, however the sun isn't always shining. I found the stop skin picking mp3 called Clarity really good. Nothing had helped me stop skin picking before this.